Log Cabin! A real log cabin near the front gate! Located in gated community with swim, stables, tennis, golf and a pool. 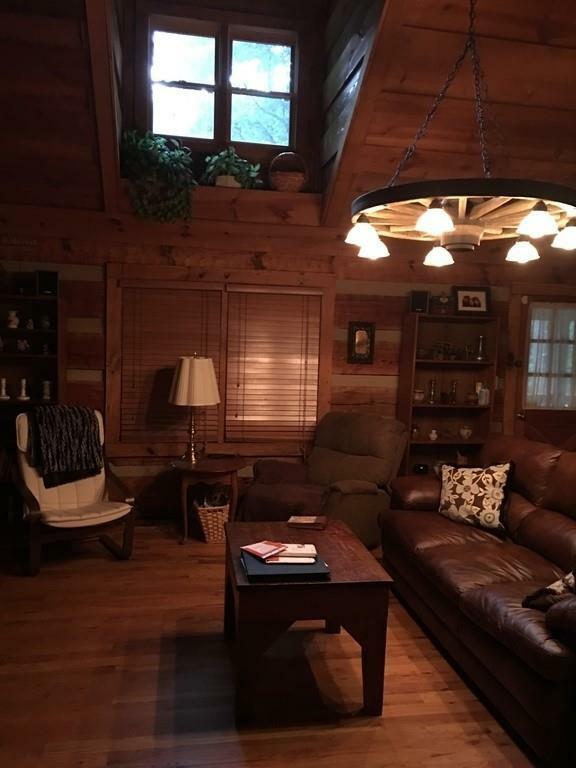 Vaulted family room w/fireplace, Master on Main, huge loft bedroom, 2 full baths, rocking chair front porch. Directions: Cove Rd To Bent Tree Through The Gate To Little Pine Mountain.